Dhikr (also Zikr, Zekr, and variants; (Arabic: ذِکْر‎‎ ḏikr; plural أذكار aḏkār, meaning "remembrance") is the name of devotional acts in Islam in which short phrases or prayers are repeatedly recited silently within the mind or aloud. Rarely, it is counted on a string of beads (سلسلة صلوات) or a set of prayer beads (Misbaha مِسْبَحَة), comparable to the rosary of Catholic tradition. A person who recites the rosary is called a ḏākir (ذاكر). Most Sufis follow this practice of Dhikr although the word being recited varies. Tasbih (تسبيح) is a form of dhikr that involves the repetitive utterances of short sentences glorifying God. The content of the prayers includes the names of God, or a duʿāʾ (prayer of supplication) taken from the hadith or the Quran. Muslims believe dhikr is one of the best ways to enter in the higher level of Heaven and to glorify the Oneness of Allah. To Sufis, dhikr is seen as a way to gain spiritual enlightenment and achieve union (visal) or annihilation (fana) in God. All Muslim sects endorse individual rosaries as a method of meditation, the goal of which is to obtain a feeling of peace, separation from worldly values (dunya), and, in general, developing Iman. 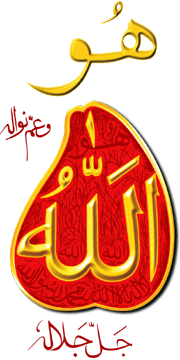 Allah- الله is the name of God in Arabic and mentioned in Quran most of the verses. Allahu Akbar - الله أَكْبَر means "Allah is Greater" or "Allah is the Greatest"
Subhan'Allah - سبحان الله means "Glory be to Allah" or "How pure is Allah" or "Exalted be Allah [far above is Allah from any shortcoming or imperfection]"
La ilaha ilallah - لا إله إلا الله means "There is no god but Allah"
La hawla wa la quwwata illa billah - لا حول ولاقوة إلا بالله means "There is no power or strength except with Allah." A similar version is Laa hawla wa laa quwwata illaa billaahil 'aleeul atheem. Bismillahir Rahmanir Raheem- means "In the Name of God, The Gracious, The Merciful" said before anything of spiritual significance ; e.g. eating, wudhu, salaat, rising from and going to sleep, before work, etc. Laa ilaaha illal laahu wahdahoo laa sharikalahoo lahul mulku wa lahul hamdu wa huwa 'alaa kulli shai'in qadeer. Subhan'Allahi wal hamdulillaahi wa laa ilaaha ilallaahu wAllahu Akbar. Laa ilaaha illal laahu wahdahoo laa sharikalahoo lahul mulku wa lahul hamdu wa huwa 'alaa kulli shai'in qadeer. Subhan'Allahi wal hamdulillaahi wa laa ilaaha ilallaahu wAllahu Akbar wa laa hawla wa laa quwwata illaa billaahil 'aleeul azeem. Laa ilaaha illa Anta, subhaanaka inni kuntu min al-zaalimeen (There is no God but You, Glory to You, verily I was one of the wrongdoers). Reciting Sura Kaafiroon (Sura 109) is equal to one-fourth of the Quran. Reciting Sura Zilzalah is equal to half of the Quran. Muhammad would often tell his companions, "Shall I tell you about the best of deeds, the most pure in the Sight of your Lord, about the one that is of the highest order and is far better for you than spending gold and silver, even better for you than meeting your enemies in the battlefield where you strike at their necks and they at yours?" The companions replied, "Yes, O Messenger of Allah!" said, "Remembrance of Allah (Sunan al-Tirmidhi). Abu Hurairah narrated that Muhammad said, "People will not sit in an assembly in which they remember Allah without the angels surrounding them, mercy covering them, and Allah Mentioning them among those who are with Him" (Sahih Muslim). Mu’adh ibn Jabal said, “There is nothing that is a greater cause of salvation from the punishment of Allah than the remembrance of Allah" (Sunan At-Tirmidhi, Book of Supplications, 3377, Hasan). Hadhrat Mu'az narrated that Muhammed said, "The Inhabitants of Paradise will not be grief stricken or sorrowful about anything they did in the life of the world except for the time they spent without being in the remembrance of Allah" (Tabaraani) . Translation: Those who believe, and whose hearts find reassurance in the remembrance of God, will undoubtedly have their hearts assured by the remembrance of God. 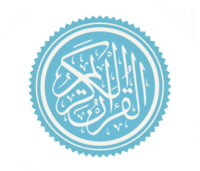 Transliteration: Allatheena yathkuroona Allaha qiyaman waquAAoodan waAAala junoobihim wayatafakkaroona fee khalqi alssamawati waalardi rabbana ma khalaqta hadhā bātilān subhānaka faqinā 'adhāba alnnāri. Translation: Those who remember God while standing, sitting, and prostrating, and who contemplate the creation in the heavens and the earth, and say: "Our Lord! You have not created this in vain! Glory to You! Give us salvation from the torment of the fire! Translation: For Muslim men and Muslim women, and believing men and believing women, and obedient men and obedient women, and truthful men and truthful women, and patient men and patient women, and men with humility and women with humility, and for men who give charity and women who give charity, and men who fast and women who fast, and chaste men and chaste women, and for men who remember God much and women who remember God much,- for them, God has prepared forgiveness and great reward. Translation: Whoever purifies himself and remembers the name of his Lord, and performs prayer, has achieved success. Translation: O you who believe! Do not allow your riches or your children to divert you from the remembrance of God. If anyone does so, the loss is his own. Translation: Keep yourself patiently with those who call upon their Lord in the morning and the evening, seeking His countenance. And do not let your eyes pass beyond them, desiring adornments of the worldly life, and do not obey one whose heart We have made heedless of Our remembrance and who follows his desire and whose affair is always neglected. Arabic Translation: "Verily, It is We who sent down the remembrance, and surely, We will guard it." Note: In the Quran, God speaks in the first-person plural, as was common in older forms English and Arabic for nobility. In this ayah, the word "remembrance" refers to the Quran, which is often memorized and repeated as a rosary or chant. The most common forms of Sufi group dhikr consist in the recital of particular litanies (e.g. Hizb al-Bahr of the Shadhilis), a composition of Quranic phrases and Prophetic supplications (e.g. Wird al-Latif of the Ba `Alawis), or a liturgical repetition of various formula and prayers (e.g. al-Wadhifa of the Tijanis ). All of these forms are referred to as a "hizb" (pl. "ahzab") or a "wird" (pl. "awrad"). This terminological usage is important as some critics often mistakenly believe that the word hizb only refers to a portion of the Quran. In addition, many recite extended prayers upon Muhammad (known as durood) of which the Dala'il al-Khayrat is perhaps the most popular. Though common to almost all Sufi orders, some (such as the Naqsbandis) prefer to perform their dhikr silently - even in group settings. In addition, most gatherings are held on Thursday or Sunday nights as part of the institutional practices of the tariqah (since Thursday is the night marks the entrance of the Muslim "holy" day of Friday and Sundays are a convenient congregational time in most contemporary societies) - though people who don't live near their official zawiya gather whenever is convenient for the most amount of people. Some Islamic scholars argue that using the beads are forbidden, insisting that the usage of the fingers to count as what was practiced by Muhammad precludes the use of anything else. The vast majority of scholars, however, do not believe it is an either/or proposition and cite the documented usage of stones and pebbles by the Muhammad's Companions as evidence for their inherent lawfulness. 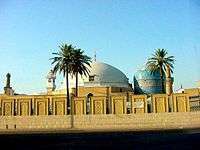 ↑ Razi, Najm al-Din. The Path of God’s Bondsman: From Origin to Return. Trans. Hamid Algar. North Haledon, New Jersey: Islamic Publications International, 1980. Print. ↑ "Dhikr, remembrance of God". sunnah.org. Retrieved 2015-09-28. ↑ "The Litany of Tijani Prayers". Retrieved 15 September 2011. ↑ For instance, Ahmad al-Tijani is often unfairly criticized for saying that the Salat al-Fatih which he instructed his students to recite is "more valuable than a hizb". This "hizb" that he was referring to was not a hizb of the Quran, but a hizb of the Dala'il al-Khayrat which was so commonly recited in Tijani's time that many people recited the entire composition several times a day. ↑ Ahmad, Zulfaqir. Wisdom for the Seeker (PDF). Concerning the Dhikr of the Naqsbandi-Mujaddid Tariqa. ↑ Abdullah Jawadi Amuli, Dhikr and the Wisdom Behind It. ↑ Gardet, L. Encyclopaedia of Islam, Second Edition. Brill, 2010. Web. 4 Apr. 2010. ↑ Naqshbandi Sufi Way. Naqshbandi-Haqqani Sufi Order of America, 2010. Web. April 3, 2010. ↑ Naqshbandi Sufi Way. Naqshbandi-Haqqani Sufi Order of America, 2010. Web. 3 Apr. 2010. ↑ Geels, Antoon. "A Note on the Psychology of dhikr: The Halveti-Jerrahi Order of Dervishes in Istanbul." the International Journal for the Psychology of Religion, 6.4, 229-251 (1996). ATLA. Web. 3 Apr. 2010. ↑ Worship and Jurisprudence: "At-Tasbih with Beads (Al-Misbahah)", FatwaIslam.Com. ↑ "Are prayer beads an innovation?". ↑ Shareef, Shukheel. "Prayer Beads: Muslim Unity Hanging by a Thread" (PDF). Retrieved 15 September 2011.